Customer support – How much support do customers need? Are there certain customers that need a lot more or less support than average? Length of sales cycle – How much time does it typically take from initial contact to consummate a sale? Size of average sale – How big is a typical sale? What is the contribution to revenue? Cost of obtaining a customer – How much does it, on average, cost to obtain a new customer? Combined with the size of average sale and lifetime value of a customer, this will give you an idea of how to gear your marketing operations given that you need to limit the cost. Lifetime value of a customer – Beyond the size of an average sale, it’s even more import to think about how much a typical customer will buy, and at what cost, over time. This gives a better idea as to how much to spend on acquiring new customers. Number of customers – Is there a large number of customers, or is the number more limited? Your strategies will be much different for a finite universe of customers versus a large universe of customers. Customer touchpoints – Where does your company interact with the customer? Sales people, support people, blogging, online customer support and mailings are a few examples. Margins for different types of customers – What value does each individual customer represent. It is likely there are some customers to provide a great deal of profitability, and others that may provide none or even negative. Loss rate for customers – How many customers, over time, do you lose. You want it to be minimal, but a natural level of attrition is acceptable. Repeat rate for customers – How often to customers repurchase the product. Reordering is often where most of the profit and long-term customer value resides. This is a basic list, and there may be additional factors and metrics that would be helpful to monitor. You need to evaluate your strategic position versus competitors and strive to build your company’s operations to competitive advantage. These factors are a good point to start. 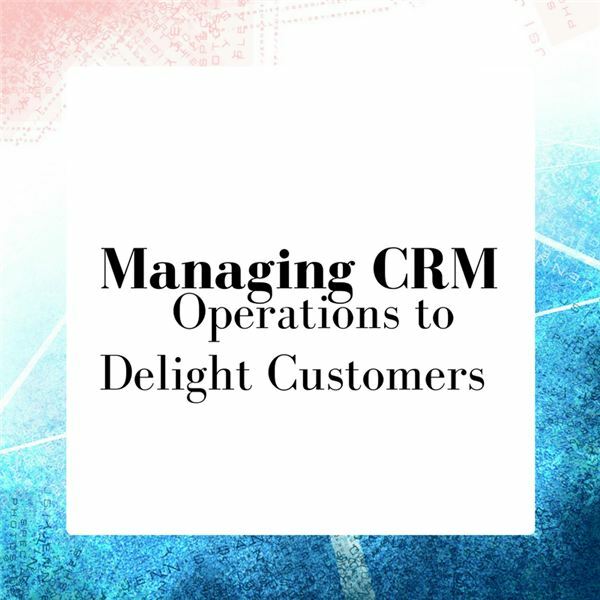 Have you looked closely at your company’s operations that support customer relationship management? Are you monitoring the right operational metrics? Are you gathering valuable strategic information about your customers?